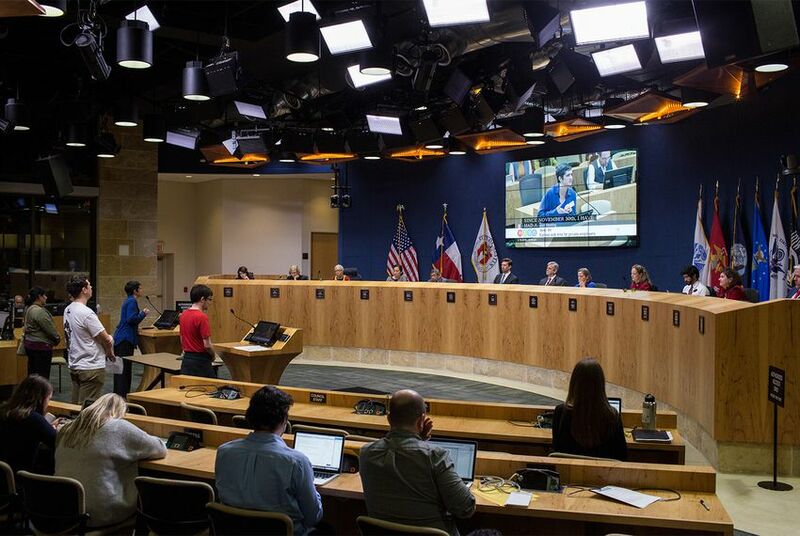 Amid a legal challenge from a slate of powerful business-aligned groups, the city of Austin’s ordinance requiring employers to provide their employees with paid sick leave has been temporarily blocked from going into effect. The city voted in February to allow workers at most private Austin businesses to accrue up to 64 hours of paid sick leave annually. But the measure quickly drew opposition from local and state leaders, including a lawsuit filed in April by the right-leaning Texas Public Policy Foundation claiming that the city measure violates the Texas Minimum Wage Act. An Austin-based state appeals court ruled Friday to temporarily block the ordinance from going into effect while other parts of the case are litigated. The ordinance had been set to take effect Oct. 1. “Without this stay, Austin business owners would be forced to incur significant costs implementing the requirements of the ordinance while its legality was in serious doubt,” said Robert Henneke, general counsel and litigation director for TPPF’s Center for the American Future. The city of Austin emphasized Monday that the ruling means only a temporary delay in implementing the ordinance. The court "has not yet made any ruling on the validity" of paid sick leave, spokesman Andy Tate said. The ruling came a day after San Antonio became the second city in Texas to pass such a measure at the local level. Even at that vote, council members acknowledged how unlikely the city’s ordinance — slated to go into effect Jan. 1, 2019 — was to actually take effect, given challenges from the courts and the Legislature. Dozens of Republican lawmakers have lined up against local paid sick leave ordinances. “I believe this is dead on arrival in Austin,” San Antonio City Councilman Manny Pelaez, a lawyer who has worked on employment issues, said at the vote on Thursday.